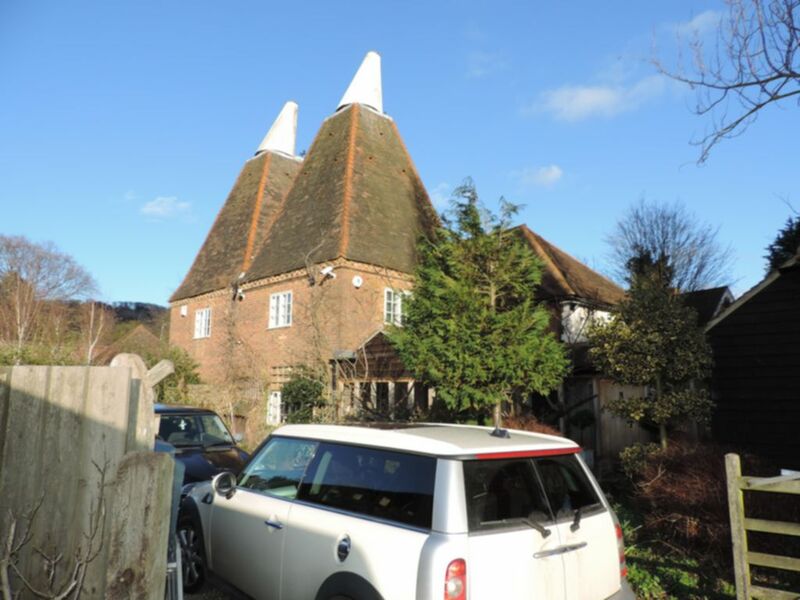 Appointed sole agent by the Trustee in Bankruptcy R L Morris are offering for sale this 18th Century semi-detached Oast House located in the sought after village of Boxley, minutes from Maidstone and with great road and rail links. Four bedrooms, large main living/dining area, spacious kitchen with breakfast/dining area, split level master bedroom with en-suite & walk-in wardrobe, family bathroom and a ground floor cloakroom. Outbuildings include purpose built barn with parquet wooden floors, tiled wet room and a log burner. The barn is linked to the main house (please refer to N.B below). There are also two generous purpose built green houses with power and a detached remote double garage with a third attached green house. The generous size garden/land surrounds the whole of the property which offers superb views across open fields. We have been notified by the current owner the land covers approx. 2/3 Acre. Central Heating, partially double glazed windows, exposed beams & brickwork, parquets wood floors, granite worktops, Terrazzo stone floors, handmade wood panelled walls, underfloor heating to bathrooms, original features and much more.